Logan has now become my favorite comic book movie of all time. Hands down without any hesitation or reservation. I haven’t seen a movie that has moved me the way this one has in years. It is the rare gem of excellence that all filmmakers and actors strive for and only a few achieve. It is a masterpiece of cinema and I hope that movie gets all of the accolades that it so rightfully deserves. Logan is the final movie featuring the revered Hugh Jackman as the character of Wolverine. 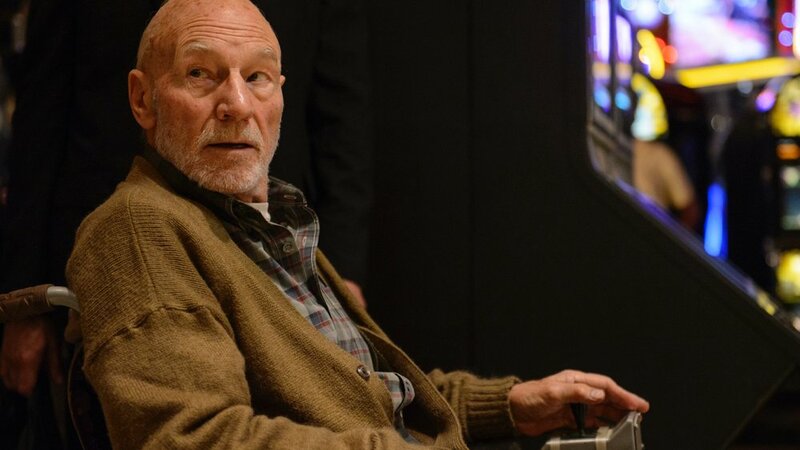 The movie follows Logan after the ending events of X-Men Days of Future Past in the year 2029 where the mutant population has all but been wiped out. With his powers fading, we find Logan tending to the care of an ailing Xavier while making a living as a chauffeur. However, his attempts to seemingly remain hidden from the world without mutants end when a female stranger approaches him with a job involving a young girl. The script crafted by Michael Green and Scott Frank is beautifully realized through the lens of James Mangold (who also help with the script.) This movie is completely stripped of the high-octane action set pieces with explosions and CGI flare. Instead, they decided to tell a serious tale about a man’s personal struggle with his inner demons. A man who is haunted by his actions and the pain that he has caused throughout his life while constantly being placed in situations where his only recourse to resort back to the very thing that he has been trying desperately to make peace with. 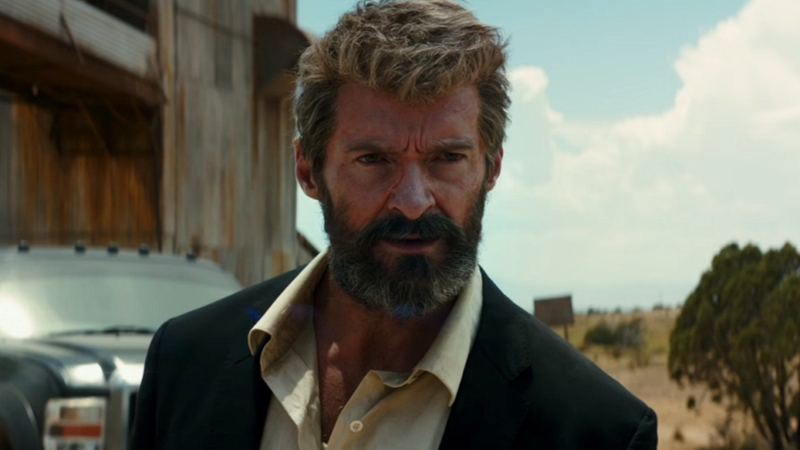 As a final farewell to the actor and character as Jackman as portrayed him, his performance here in this movie will serve as impossible bar to surpass. Hugh Jackman has solidified his status as the definitive Wolverine and it will be damn hard to divorce the two from each other. A breakout performance nod must be given to the young and highly talented Dafne Keen as Laura (X-23). She was phenomenal as Jackman’s opposite and star. She has a strange wit about her and it shines through her performance which for most of the movie, silent. Her expressions and body language as a child speak volumes on the screen and you can’t help but fall for her charm. She reminds me of a character similar to Ellie from the Last of Us (a nod to those who played the game). There is a naivety about her and how the world works that is fascinating and makes it more interesting to pay close attention to her. There is an innate innocence about her despite her being created and designed to be a killing machine. How she interacts with the environment is breathtaking to watch. The chemistry between her and Jackman on screen is endearing and as the movie progresses, the two them attaches to the strings of the heart and begin to tug ever so gently. Patrick Stewart is simply Patrick Stewart. The guy is amazing in almost everything that he is in and it was great to see with being able to let loose a little bit with the R rating. I was a bit drawn back to hear him dropping F-bombs but it was great and hilarious to see him and Jackman go back and forth with each other as two old men. Xavier and Logan’s relationship gets to flourish beautifully in his movie, revealing more than just a comrade in arms as they were in the X-men series. Logan showcases truly the one-sided nature of tangling with a mutant in a day and age where they barely exist. The action is here is all grounded in realism, well as it could be for a movie about mutants and it was a great change of pace. They did not shy away from the gore and visceral nature of our protagonist People are relieved of their limbs quite easily and often. It was awesome to watch! Laura steals the show whenever she is allowed to show us that inner rage and hatred that both Logan and her harbor. It is clear from the first time you see this little one cut loose, that she is formidable and one that should not be trifled with. It is also really good to see our old man Logan still has some gas in the tank despite his age. And do not think for a second that because this movie takes a serious approach, that humor was at its expense. Small jokes tickle and conversations between the characters had me chuckling quite often. Some humor is hidden within the actions of the characters. Like how Logan sports a pair of reading glasses still bearing the price tag or how it seems that Xavier’s age has caught up with him. I have a firm believer that the score of a movie should ultimately set the mood with the scene. Logan’s score does just that. It isn’t something that had to stand out which is probably why at the time of writing this, I didn’t pay that much attention it. I will have to see the movie again to give it an honest assessment but for now, it works for the movie. In closing, Logan is a farewell to Jackman, someone who did not need to be rebooted or recast. Someone who has survived since the beginning of the comic book era with X-Men which began nearly seventeen years ago. It is a movie worthy of watching knowing that we will be saying goodbye at the end. An endearing and heartfelt closing to a character that some of us grew old with and will remember for the rest of lives. For some of us, it will be hard to accept this as the end. Especially with how good this movie is but it will be a reality we will have to come to grips with. Thank you for all of the years of service, Hugh Jackman. If this movie needed a score from me. it would easily be a 10/10.